﻿Researchers have identified a gene that may offer a better understanding of how keloid scars develop and potentially open the door to improved treatment for the often painful, itchy and tender scars. The study is the first to demonstrate that an altered AHNAK gene may have a significant biological role in keloid development. The findings are presented at the Triological Combined Sections Meeting in San Diego. Keloid scars form raised, firm skin areas and most often occur on the chest, shoulders, earlobes (following ear piercing), upper arms and cheeks. 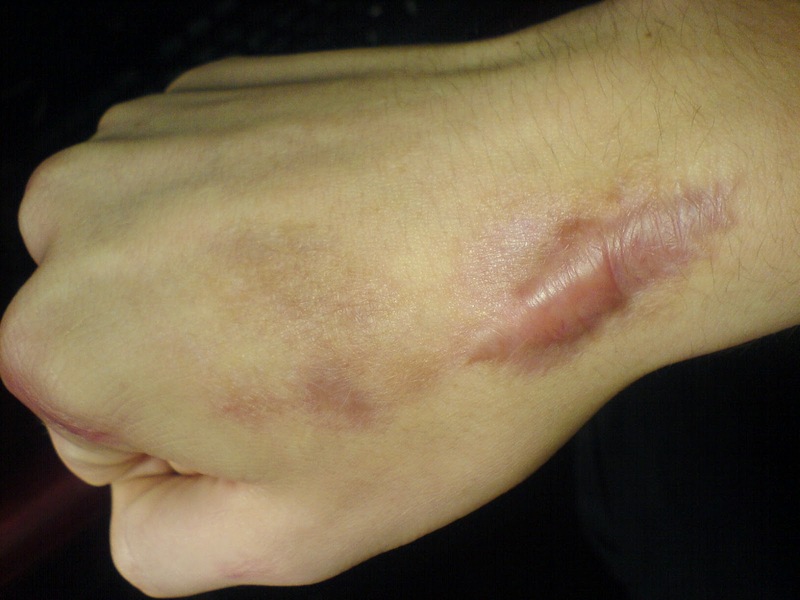 Unlike regular scars, keloids do not subside over time and often extend outside the wound site. The lowest rates of keloid formation have been documented in albinos and the highest seen in dark skinned individuals, especially in the African-American population. Treatment for keloids includes cortisone injections, pressure dressings, silicone gels, surgery, cryosurgery (freezing), laser treatment, or radiation therapy. A combination of treatments may be used, depending on the individual. In some cases, keloids return after treatment, up to 50 to 100 percent of the time. AHNAK is a 700 kDa protein located on the cell membrane in epithelial cells and in the nucleus and cytoplasm of other cell types such as fibroblasts. AHNAK has been suspected to contribute to cell-cell adhesion or exocytosis. For their study, the researchers investigated AHNAK as a potential biomarker in keloids through the integration of methylation and gene expression. To do so, the team examined samples of fresh keloid tissue and fresh normal tissue for AHNAK expression. Three of the five keloid samples showed a large reduction in expression as compared to the normal tissue. In this small sample, gene expression was consistent with methylation, a process that allows the researchers to look for genetic abnormalities within tumor samples. The finding has great promise for better understanding how keloids function and offer a potential target for improved and novel treatments. "We now have a better understanding of how this gene fits in the broader picture of the wound healing process, which may be important in preventing scars in general", the researchers concluded. Based on materials originally posted by Henry Ford Health System.